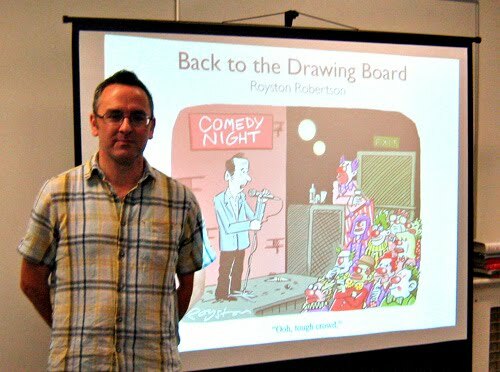 It must be time for what reality-TV presenters call my "best bits", a round-up of the highlights of my cartooning year, as seen through this blog (mostly). Yes, I know it's basically a round robin, but at least I didn't print it out with dodgy festive clip art around the edge and I'm not boring you about my kids' achievements or any challenging health issues, so cut me some slack. Presenting a talk and slideshow about my cartoons for the first time was certainly a high point of the year for me. 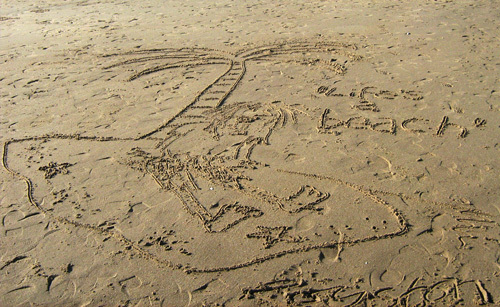 I wrote about that experience here. It was a buzz getting an audience reaction to my cartoons. 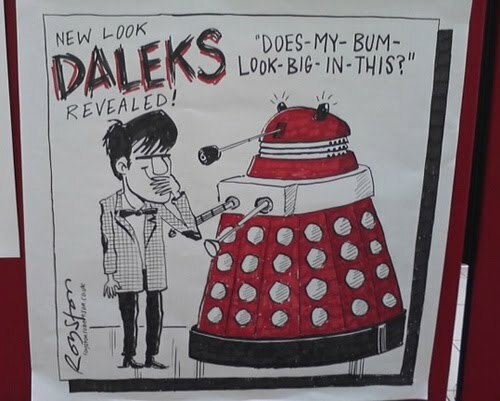 The Shrewsbury Cartoon Festival, the fifth I've attended, below, was great as usual, and I'm now in the process of trying to think up cartoons on an Olympics theme for next April's festival. 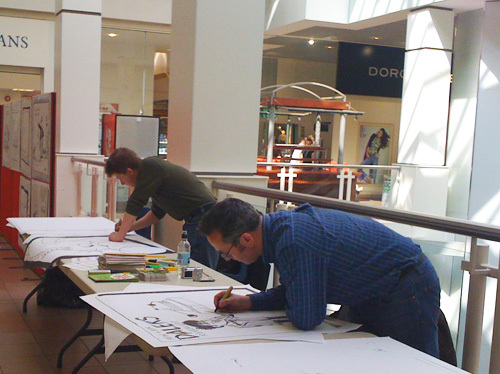 More live cartooning took place at the Big Draw, where I fought valiantly in the Battle of the Cartoonists – didn't win though. "Oh no, look who's in..."
"Remember, it's not the winning that's important, it's the not losing ..."
More drunkenness ... this year the Cartoonist's Club of Great Britain celebrated its 50th, so we had a party and we even kicked it old school with a convention at Butlins. I usually include a couple of cartoons that went down well in this round-up. This cloudspotters' cartoon, which I thought was too odd to sell, generated a lot of good feedback. 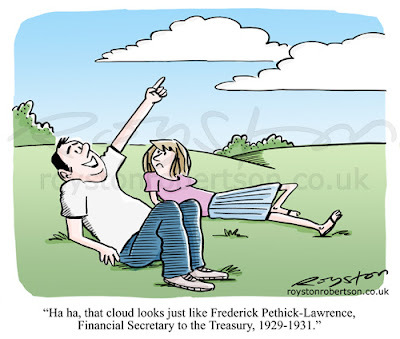 "Ha ha, that cloud looks just like Frederick Pethick-Lawrence, Financial Secretary to the Treasury, 1929-1931." 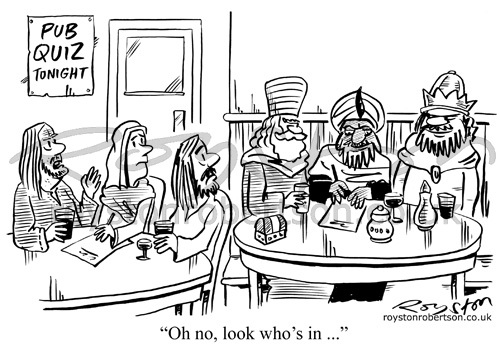 A personal favourite was my Bayeux Tapestry cartoon. 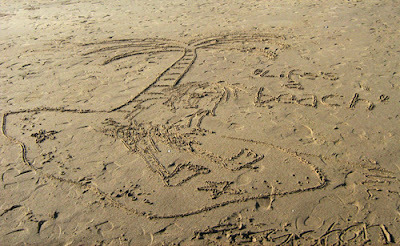 That also got a lot of reaction, though quite a bit was of the "I don't get it" variety. Scoring a hat-trick in the Reader's Digest caption competition caused me to do a lap of honour around the room. 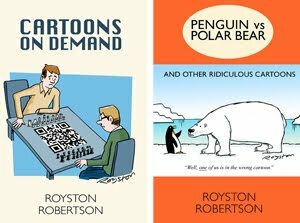 I should mention all the great cartoons by other people I've seen this year in exhibitions, many of which I wrote about for the PCO's Bloghorn: Ray Lowry, Fougasse, Toy Tales, Modern Toss, Rude Britannia, and Roland Searle. And finally, it's great to know that I can head into 2011 knowing that I am officially as funny as Matt! 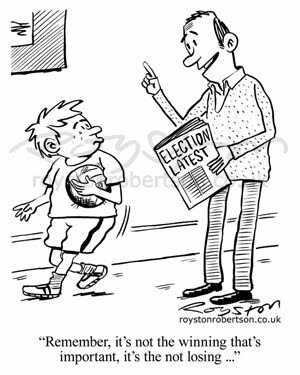 If you've enjoyed my cartoons this year, why not commission me to draw some for you in 2011!